History Proving That Cabins Have Always Been Popular! 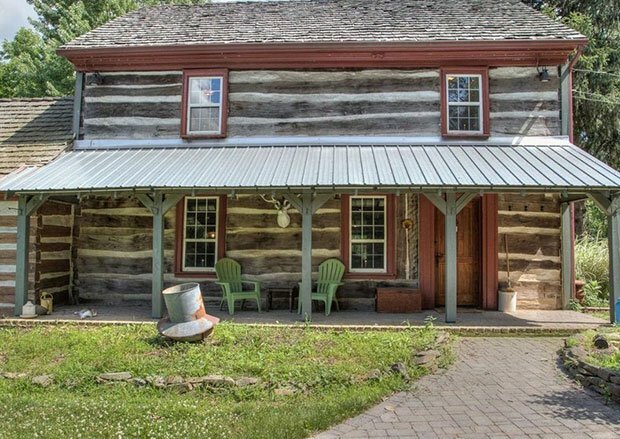 This beautiful rustic cabin is sitting accompanied by a garage, a horse barn and a pond at 11 acres of land in Bernville, Pennsylvania. 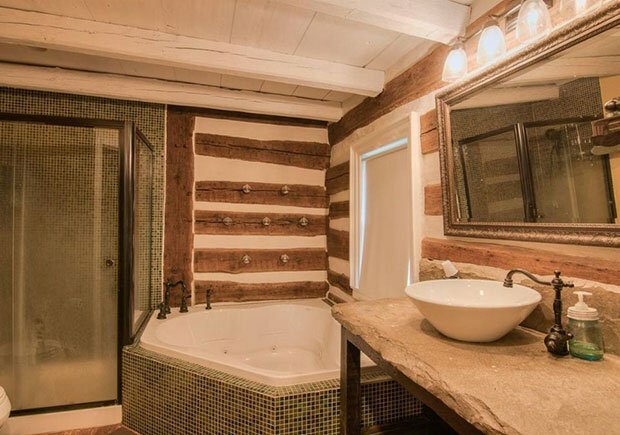 Obviously a quality log cabin, it consists of five bedrooms and two and a half bathrooms! We can just guess that it was once the home to a big loving family! And about the owners, they absolutely love this place too, hence the price of $649,900! 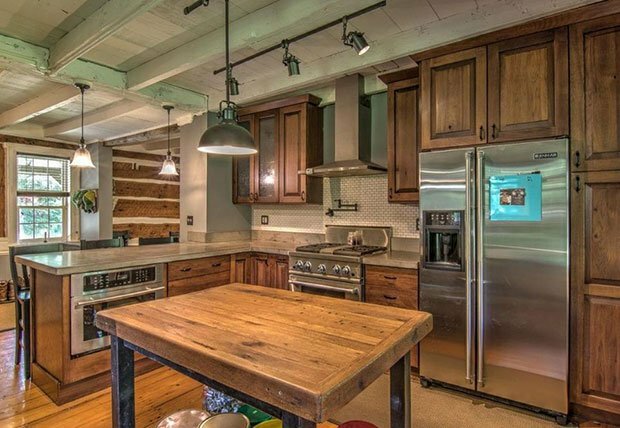 The 2,048-square-foot lumber structure at 7841 Route 183 has been lovingly renovated while still retaining its historical charm. 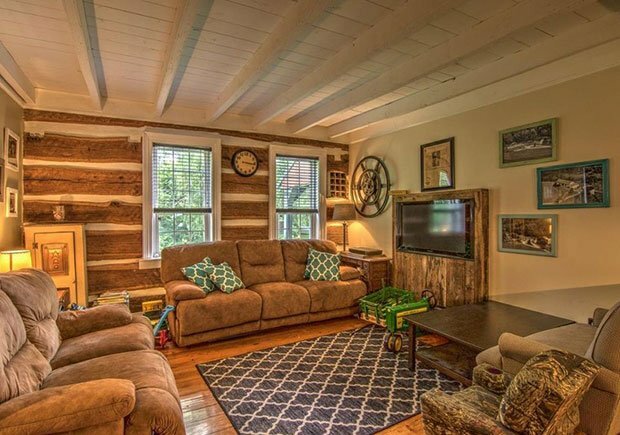 We’re talking a restored wood-burning fireplace and stainless steel appliances. 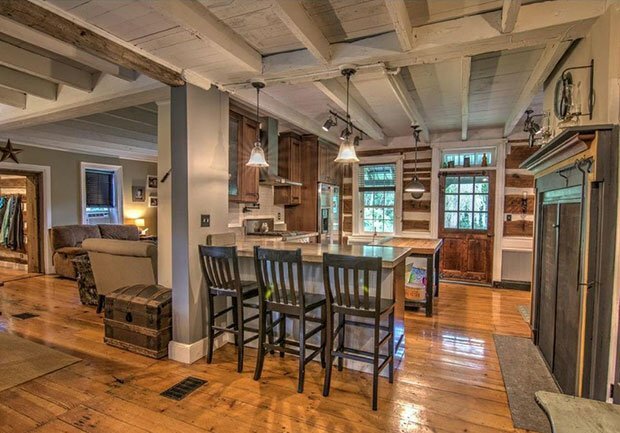 Exposed beam ceilings and original floors as well as new windows and a jacuzzi tub. 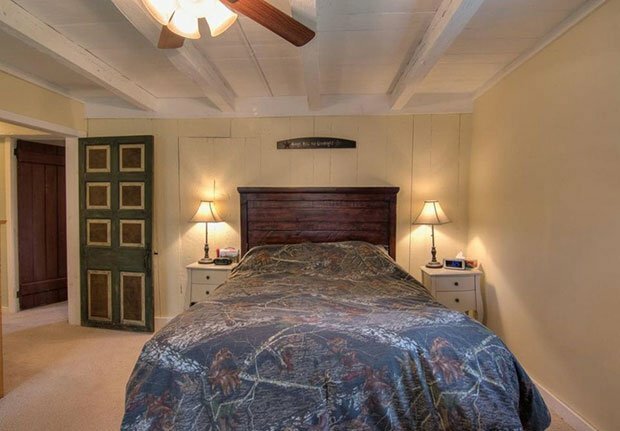 Is it a Windmill, Love Nest, or Cozy Home?